Bust out your tie dyed t-shirts and get groovy with us! You’ll hear a unique blend of the best rock classics of the Sixties performed by veteran musicians who were around when it all happened – the heyday of rock and roll! 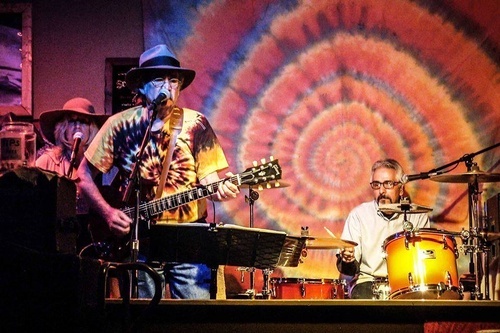 So grab your sweetheart, put on your favorite tie-dye and your dancing shoes, and together we’ll re-live through music the golden age of rock: Beatles, Cream, Hendrix, Rolling Stones, Bob Dylan, and much more!